A quality compressor is an integral part of any studio toolkit. And with the Essential Compressor, every studio can be assured of professional results. 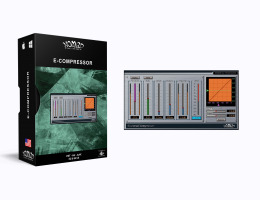 The Essential Compressor is like having several compressors in one plug-in. Choose analog or digital compression, and Peak or RMS compression. This compressor provides intuitive control over the Threshold, Ratio, Attack, Release, and Make-Up gain. The Essential Compressor also enables adjustment of the Threshold and Ratio parameters within a graphical display. Other features include Brick-Wall Limiting, and individual Input and Output level controls.